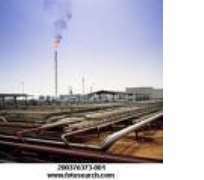 Foreign Experts To Fix Nigerian Refineries. Speaking over the weekend a top official of the Nigerian National Petroleum Corporation (NNPC) said arrangements have been concluded to engage the services of foreign technical experts to fix the nation's refineries, which currently produce at less than 20 percent capacity. Disclosing this at an interactive session in Abuja, he informed that the decision to engage foreign experts for the refineries was a fall out of a committee established on the refineries. “We looked at Malaysia, Poland, Indonesia and South Africa and we found out that we have options on how to make our refineries work again. The options were to engage their professionls, learn from them over a period of three years and them allow our personnel take over" he said. He blamed the current poor state of the refineries on the high wave of retirement and retrenchment in the oil sector saying that in some countries, you have one person in a unit of refineries for 30 years unlike Nigeria where qualified experts and technocrats are retired over sentiments and politics. The NNPC official also sited the lack of turn around maintenance as a major problem of the nation's refineries, even as he noted that each refinery must have TAM after 18-24 months. As soon as you finish this TAM, you have to start ordering materials for the next TAM in 18 months.